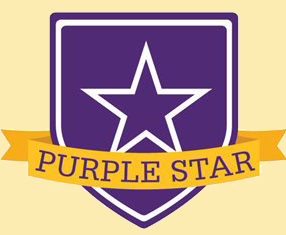 Faircrest Memorial Middle School (Canton Local) and Marlington High School both earned ODE's Purple Star Award. The award recognizes military-friendly schools that show a major commitment to students and families connected to our nation's military. GreatSchools announced the winners of its 2018 College Success Award based on postsecondary data for college enrollment, readiness for college-level coursework and second-year college persistence. The following Greater Stark schools were awarded: Green, Lake, Louisville, Marlington and North Canton High Schools. "...A great high school must serve all of its students well, not just those who are college bound and it must be able to produce academic outcomes to show it is successfully educating its student body across a range of performance indicators." Teamed with RTI International, a global nonprofit social science research firm, U.S. News & World Report has released its annual Best High Schools Ranking for 2018. This year's data includes 28,813 high schools across all 50 states and the District of Columbia - 822 high schools in Ohio alone. Nationally, 2% of schools were awarded Gold status, 11% Silver status, 16% Bronze status and 71% did not receive an award. 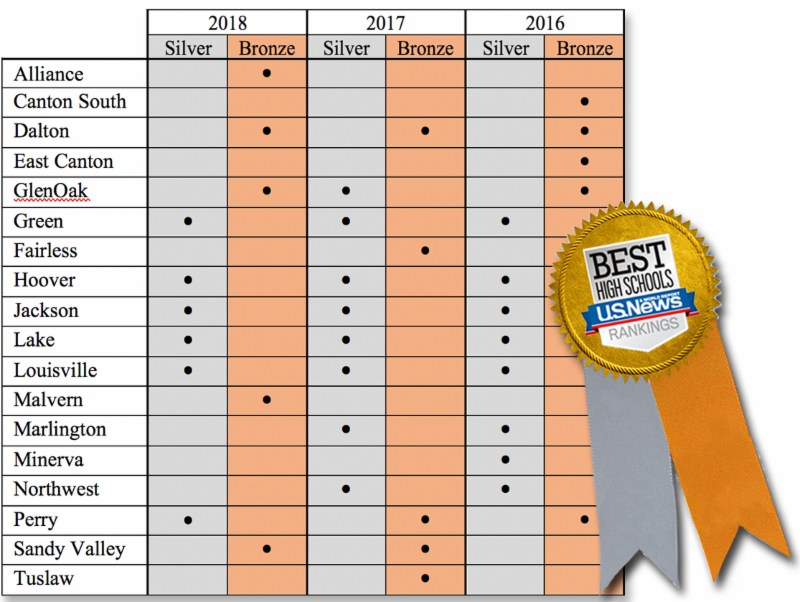 In Ohio, 38% (313 high schools) earned a 2018 national ranking and medal designation. Eleven from Stark County Educational Service Center Schools were recognized.